The current line of products from this respected company has something for everyone. 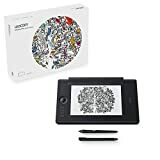 Whether you are shopping for a small drawing tablet for retouching photos or a larger tablet for creating art, you can find a Wacom tablet that will satisfy your needs. As a result, creative professionals have used Wacom tablets for decades. Wacom makes tablet displays or monitors as well as drawing surfaces that connect to a computer. Most of the tablets made by this premium brand have high-end features such as battery-free pens, multitouch control, tilt recognition, and wireless connectivity. Wacom tablets may be more expensive than other models, but they are solidly built and trusted by creative and design professionals around the world. Find out which features to look for when buying a drawing tablet and see our ranking of the top 10 Wacom models. A Wacom drawing tablet is a pressure-sensitive surface that connects to a Mac or PC, it comes with pens that allow users to draw on the surface and see their changes directly on a tablet with a screen or on the screen of a connected computer. What do Wacom tablets do? Artists, creators, and designers use drawing tablets to create or modify digital images. It can also be used as computer input devices depending on the drivers and setup. These are most useful with art or image-editing software and allow for more precise control than a mouse or track pad. How does a Wacom tablet work? 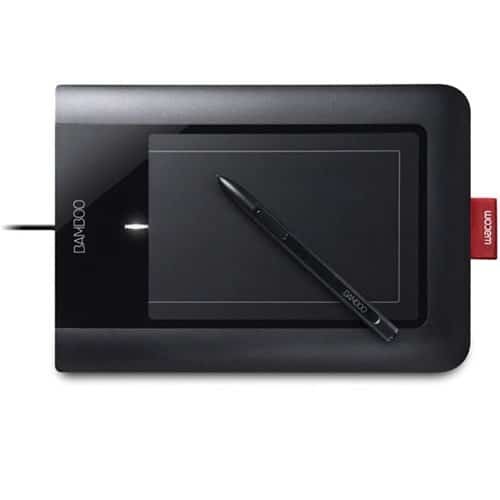 A Wacom tablet ships with cords or a combined three-in-one plug that connects that device to a computer and AC power. Some recent models only require power and connect wirelessly to computers or other devices with Bluetooth. Users must install drivers and calibrate the tablet before beginning to draw on the tablet with the battery-free pen provided. They see their input on either the display surface or connected monitor. Where can you buy Wacom tablets? You can buy a Wacom tablet directly from the manufacturer or an online or electronics retailer. They may be more expensive than drawing tablets from other brands but they are also known to be higher quality and more reliable than lower-priced drawing tablets made by other brands. You may be able to save money by buying an older model. We include two solid older models in our ranking of the best Wacom tablets. How much do Wacom tablets cost? Wacom tablets cost anywhere from $60 for a basic model that must be connected to a computer monitor to more than $2,000 for a professional tablet with a screen display. Match the features you need to the price point to determine whether this brand is right for you. Most users rely on them for years and the company has a good reputation based on the durability, quality, and longevity of its products. In this review of the top 10 best Wacom tablets, we mix in higher and lower-priced models rather than listing the most expensive tablets with the most features, we switched between tablet models with and without screen displays and different types of features. The highest-ranked Wacom tablet is not the most expensive model but the one that has the best features for its price point. We researched the current lineup of Wacom tablets as well as some older models that are still appreciated for their quality, even if their features are not cutting edge. You may be able to save money by purchasing a previous version of a current model. The top five tablets in our list include some high-priced current models with all of the features that professional users may want as well as tablets that are ideal for amateurs who want to get serious about digital art or design. A Wacom tablet can be an investment, but you know that you are getting a high-quality drawing tablet. While you are likely to have good results with this brand's drawing tablets priced under $100 or over $1,000 or even over $2,000, you should make sure that the model you choose has the features you need. Higher-priced Wacom models tend to have screen displays. 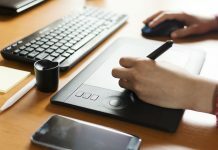 If you want an exceptional professional-quality drawing tablet without a screen, you will only need to spend several hundred dollars for a model that has exceptional pressure sensitivity and LPI resolution and can connect to your computer wirelessly. Key Features: This Wacom tablet has all of the basic features beginners require for an affordable price. The Bamboo Pen Tablet is an older model that does not have upgraded features. 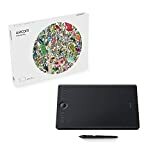 Key Features: The Intuos Pro Digital Graphic Drawing Tablet is another older model, but it is more affordable than later Intuos Pro tablets with similar features. 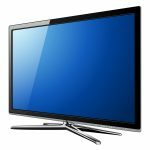 This model has multitouch support and works with an additional wireless adapter. Key Features: The MobileStudio Pro 13 i5 128GB is a full-featured device with professional-level processing power and graphical components. This tablet features a high-resolution display with superior color quality and four times greater accuracy and pressure sensitivity. Other models with faster processors and top tier models with NVIDIA Quadro graphics cards are also available. Key Features: Users seeking a versatile tablet with on-screen display should consider the Cintiq Pro 16". This model surpasses the features of the standard Cintiq tablets at a more affordable price than the Wacom MobileStudio Pro or Cintiq 27QHD. Key Features: The Cintiq Pro 24 Creative is one of the tablet maker's top-of-the-line models. This 27" tablet allows users to draw directly on the LCD screen. Key Features: The Intuos Small comes with or without Bluetooth. There is about a $20 difference between wireless and non-wireless models, but both are under $100. 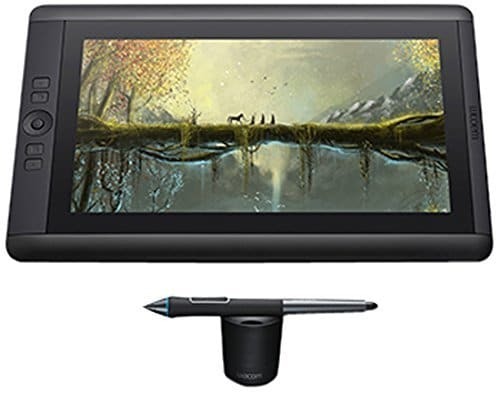 Key Features: The Cintiq 13HD Creative Pen and Touch Tablet has a tablet display and is a functional device for drawing and other applications. Key Features: The Intuos Pro Paper Edition allows users to draw on paper over the active surface of the tablet or directly on the tablet service. This model relies on Inkspace software. It includes a Bluetooth wireless connection and native touch support. Key Features: The Intuos Bluetooth Medium features Bluetooth Classic and LE wireless connection. The pressure sensitivity is less than half the rating of the Pro model at 4,096 versus 8,192. Coupons/Deals: Save money on this model by ordering without Bluetooth. This model can also be purchased with several types of creative software. Key Features: The Intuos Pro Medium supports 8,192 levels of pressure sensitivity with very little lag. The slim design has a larger active area than previous models. There is no doubt that we chose the Wacom Intuos Pro Medium (PTH660) as the best tablet because it has all of the features professionals and amateurs can both appreciate for under $350. This drawing tablet features not only wireless connectivity, high levels of pressure sensitivity and LPI resolution but also eight customizable keys. 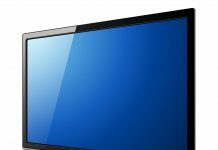 Most users identify tilt recognition and multitouch functions as two major distinctions of professional tablets, and this model has both. 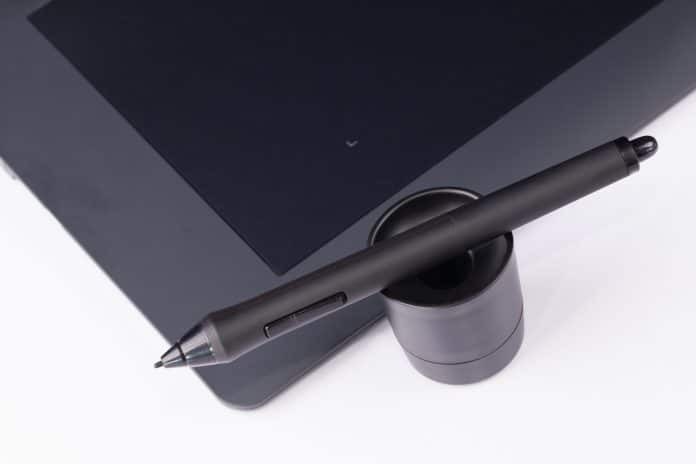 The Intuos Pro also comes with the Wacom Pro Pen 2, which improves on the features of the original pen design and features eraser functionality. The Intuos Bluetooth Medium, is a non-pro version of the same tablet. This model retains wireless connectivity but has four fewer buttons and no multi-touch or eraser functions. It retails for about $150 less than the Intuos Pro. If you are interested in a Wacom tablet with a display screen, the Cintiq 13HD (DTH1300K) is one of the more affordable options. Get a larger screen and more features for about $1,500 with the Wacom Cintiq Pro 16". Higher-end Wacom models include the MobileStudio Pro 13 i5 128 GB, a tablet complete with an Intel processor, graphics card, and built-in storage. It has more processing power, upgraded graphics cards, and more storage are priced upward from this point. If you want to go all out and get a huge 27" Wacom tablet with a display screen, consider the Cintiq 27QHD Touchc for $3,360.00. No matter your price range, you can find a Wacom tablet with the features you need.